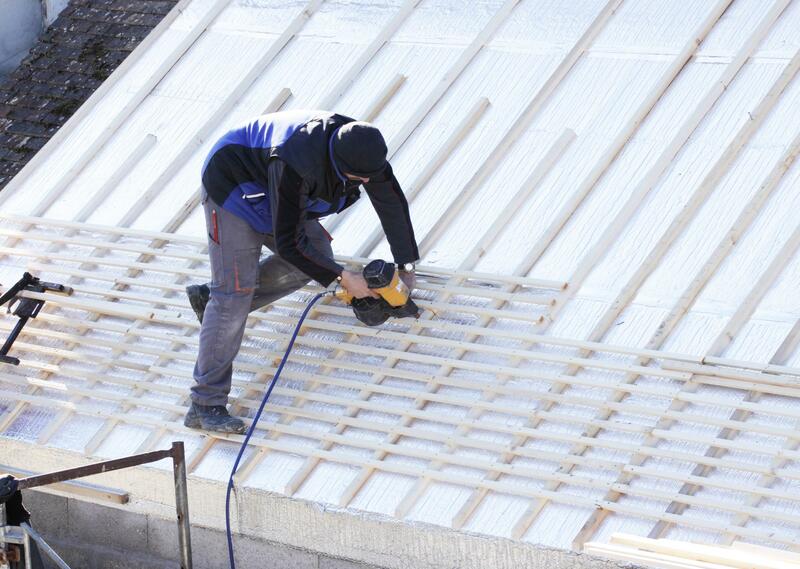 At Lake Norman Roofing Pros, we are specialists in a variety of different roofing solutions, designs, and materials. Metal roofing is one of our favorites. When it comes to metal roofing, offer specialized expertise in standing seam retrofit roofs and overlays. These services and solutions cover all types of buildings, whether residential, commercial, industrial, or municipal. At Lake Norman Roofing Pros, we are proud of our work. Our team is familiar with every type of metal roof, the most up to date techniques, and the best options to for durability, longevity, energy efficiency, and affordability. There are many benefits of and reasons to choose metal roofing solutions for you roof investment. Metal roofing is more durably built and typically has a longer lifespan that other types of roofs. The metal also absorbs sunlight, managing heat and lowering energy costs. Metal roofing material is also much lighter and more versatile than other types of roofing material. Metal roofing is fire resistant and is more durable against the elements such as rain and snow, which slide off metal rooftops with ease. We are happy to consult with you on if a metal roofing solution is right for you. There are many different types of metal roofing to consider, as well as different materials, layouts, styles, and purposes. Part of our job at Lake Norman Roofing Pros is to offer expert advice on some of the various options available for metal roofing. We offer metal roofing in aluminium, galvalume steel, galvanized steel, copper, and other types of metals. Each type comes with different considerations in terms of positives and negatives, which our team of expert contractors would be happy to go over with you to address your specific metal roofing needs. When you work with our team of certified roofing pros, you have a support team there to ensure your metal roof is designed and installed optimally. Metal roofs can be the most environmentally friendly roof solution available. There are some pretty straightforward reasons for this, which is one reason metal roofs are so popular for both residential and commercial buildings. Metal roofs leave a small carbon footprint because they are mostly made from recycled material, making them superior to traditional shingles in this regard. They can reduce energy costs significantly, and keep your house cooler. There is a low amount of embodied energy, no out-gassing, and are easily recycled if they ever need to be replaced. All and all, metal roofs provide some of the most promising choices when it comes to ecofriendly options. Metal roofing is also a keyhole into the future when it comes to harnessing solar energy. While as of now traditional, tried and true shingles may still be the optimal choice in many cases, metal roofing allows for exciting possibilities of harnessing solar power to power your whole house with your roof. Our company is at the forefront of learning about these new technological possibilities, and can install a metal roof for you geared towards the possibility of future solar power achievements. Metal roofs are already the best in terms of solar installation. Things should only get better from here in that regard.